Experience the Panama Canal, the mountains, the beaches, and stories to tell for a lifetime. 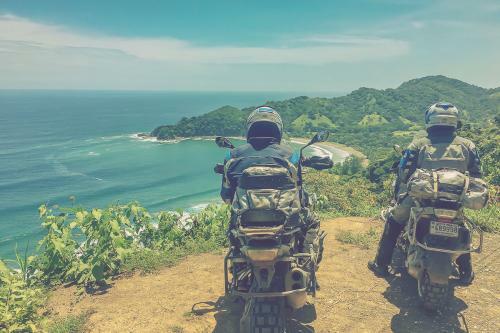 Are you ready to experience the beauty of Central America? It is full of contrasts – large cities to small villages, mountains to valleys, rivers to Caribbean coastline. 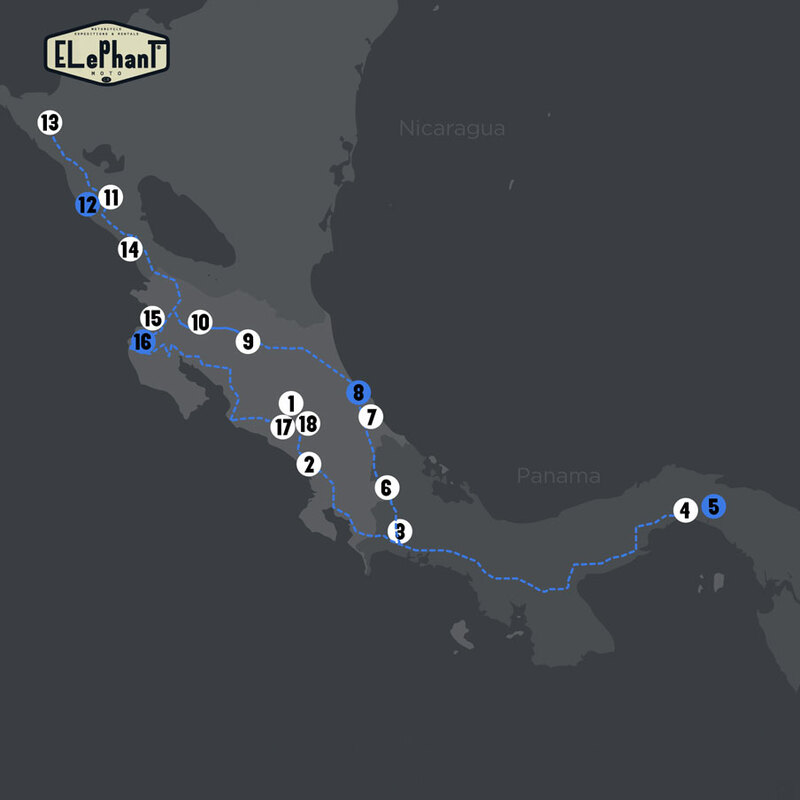 Join Elephant Moto’s 18-day bike tour across three Central American countries. 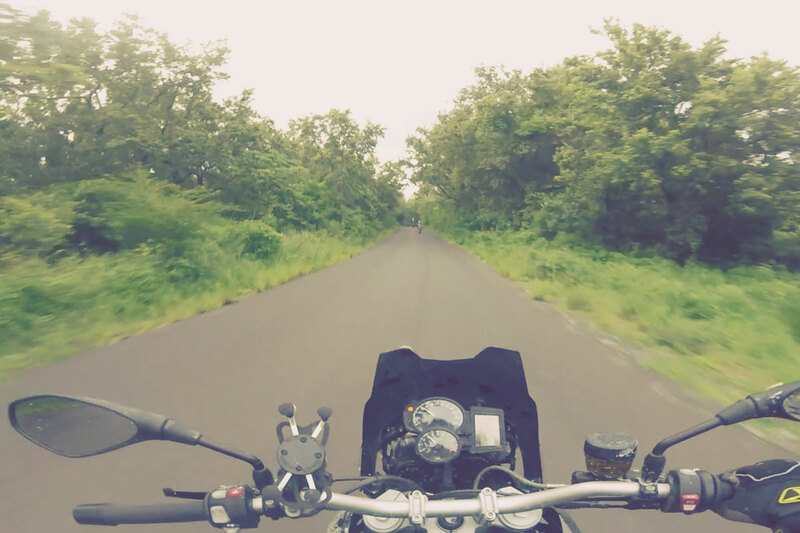 This tour will be your best way make memories of a lifetime as you cross this breathtaking area. 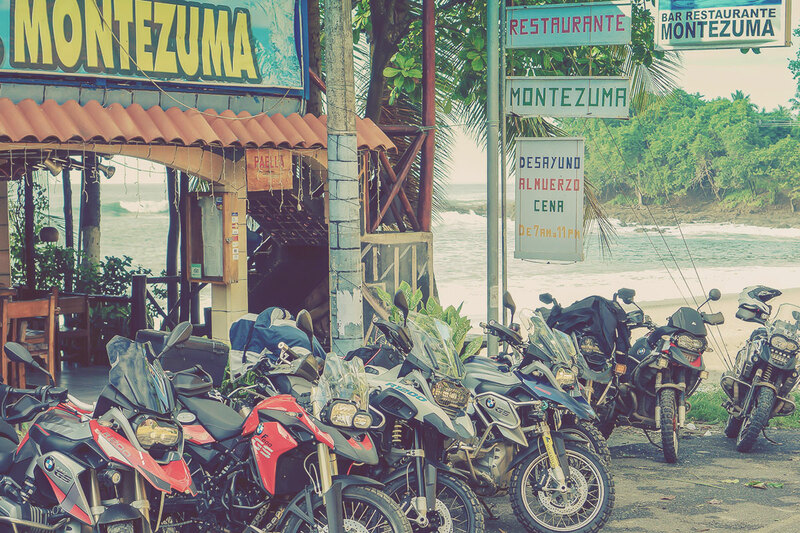 We leave San José for the Pan-American Highway and travel to the south border of Costa Rica. You will have one day off to enjoy old Panama City and see how the Panama Canal works by touring the Miraflores Locks. 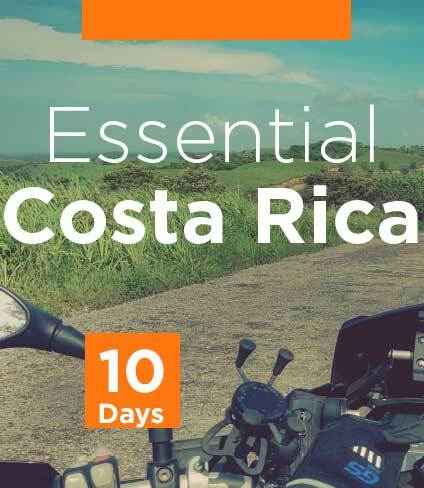 You will pass through many exotic areas, from beaches to tropical forests, and will stop to enjoy Boquete, the city known as “the city of eternal springtime” due to its moderate climate. 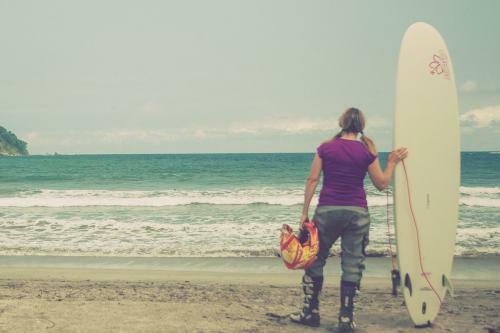 There will be one days off to enjoy the beaches and water sports that Puerto Viejo has to offer. Come enjoy all that these three countries have to offer. On this once-in-a-lifetime trip, you will cover nearly 3,000 kilometers on your motorcycle. You will tour the famous Panama Canal and then cross the highlands of the Panama border in the Chiriqui providence, where you will be able to enjoy the welcoming culture of the Central American people and experience life along the Costa Rican Caribbean coast. 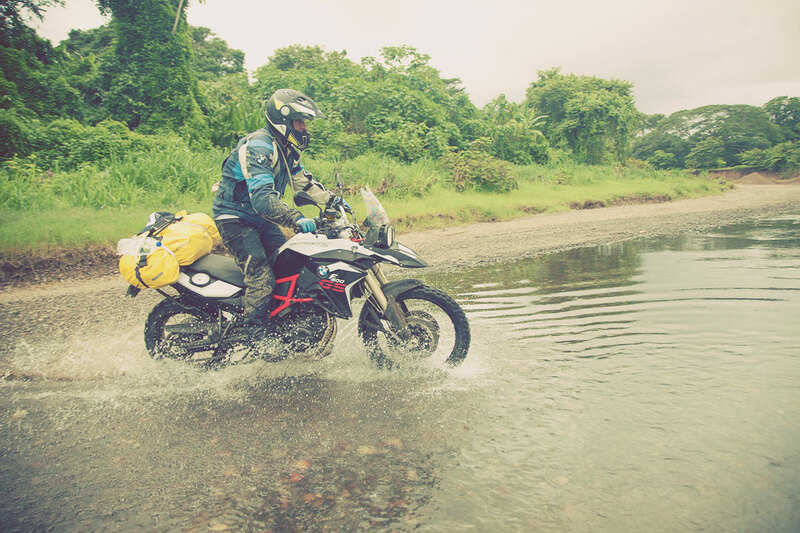 Along the way, take in a stunning view of the awe-inspiring Lake Arenal near the Arenal Volcano. You will be able to taste authentic, colonial cuisine in Granada, and then finish your eighteen-day tour while relaxing on the beaches of San Juan del Sur and Tamarindo. Next tour dates: Dates to be defined. Welcome Dinner / Manuel Antonio Beach / Panama cross the border / Pan-American Highway Scenary / Great breakfast provided / Panama City / Panama City Museums / Costa Rican Caribbean Sea / Volcano hot springs / Rincon de la Vieja natural park / Volcano Mombacho activities / Ruins of Old Leon City /San Jacinto hot sorings / San Juan del sur beach / Delicious meals. 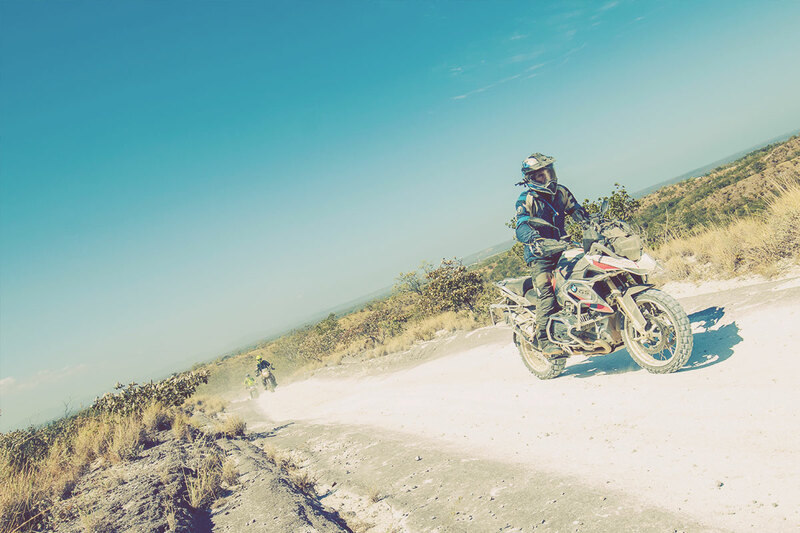 4 Volcan – Panama City. 14 Leon-San Juan del Sur. This Company is a game changer if you spend money you feel confident that you will get the results!! The f700 is super light for the amount of stiffness the frame gives you out... all the power goes straight to the wheel, allowing you to get maximum speed in a short time. Not only do ElephanT make the best tours but the people behind scenes are what make the company that extra bit special. Costa Rica is a unique country to ride motorcycles. 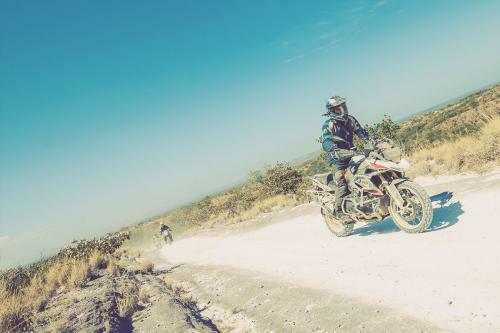 The diversity, the roads, the landscapes and the people make it one of the most interesting destinations to ride in Central America and the world. With ELEPHANT you can make your trip a reality, we organize motorcycle tours that vary in length and destinations. 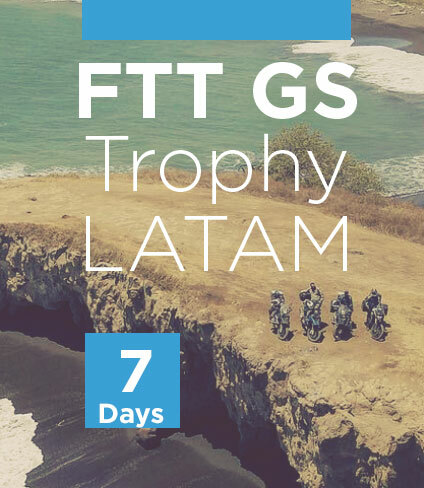 We will design your trip including motorcycle rental, hotels, meals, certified tourguide, support vehicle. 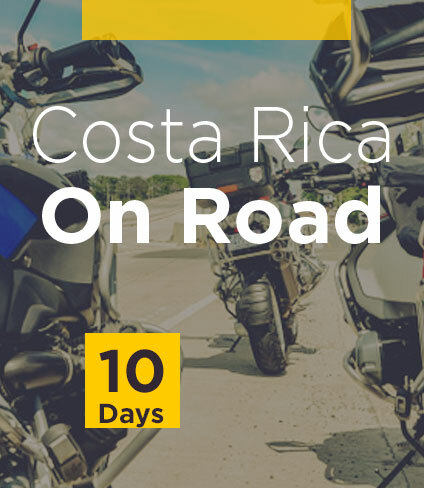 Everything you need to discover Costa Rica on 2 wheels. 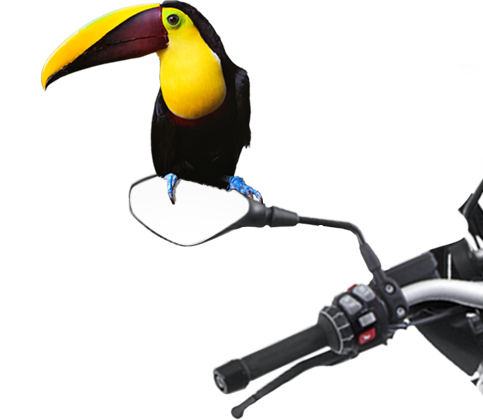 Contact us if you are interested in riding in Costa Rica.